Art is chair of Jackson & Campbell’s Professional Responsibility Practice Group, representing law firms and lawyers in matters related to legal ethics. Mr. Burger is a national leader in legal ethics, legal malpractice, and the law governing lawyers. 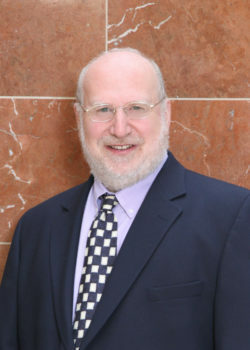 He chairs Jackson & Campbell, P.C.’s Professional Responsibility Practice Group, which has been representing prominent law firms and lawyers for nearly two decades. Selected repeatedly as a Best Lawyer® in Ethics and Professional Responsibility by Best Lawyers of America© and as a Super Lawyer® in Professional Liability Defense, Art is a passionate advocate for his clients in the areas of legal malpractice, fiduciary duties, motions to disqualify, internal law firm disputes, Bar disciplinary proceedings, and matters before the Office of Enrollment and Discipline of the U.S. Patent and Trademark Office. He also serves as outside counsel to law firms and is equally passionate in providing sound advice regarding conflicts of interest and other ethical dilemmas, and recommending prophylactic measures to reduce or eliminate the risk from such problems. He serves internally as Jackson & Campbell’s in-house ethics counsel. In addition to his experience as a practitioner, Art has a deep background in the jurisprudence of ethics law. He is a member of the Editorial Board of the “ABA/BNA Manual on Professional Conduct” and an Adjunct Professor at the Antonin Scalia Law School of George Mason University, teaching a night class in Professional Responsibility. Previously, he was a member of the ten-person American Bar Association (ABA) Committee on Ethics and Professional Responsibility from 2014 to 2017; an elected District of Columbia Bar Delegate to the ABA House of Delegates from 2011 to 2012, where he worked with the ABA Ethics 20/20 Commission; a member of the District of Columbia Bar Legal Ethics Committee from 2003 to 2009; a member of the District of Columbia Bar Rules of Professional Conduct Review Committee from 1998 to 2004; and he has taught numerous District of Columbia Bar continuing legal education courses (CLE) on legal ethics and has lectured around the country. Art also serves as an expert witness on legal ethics. Grew up playing stickball in Queens, New York. an amendment to the Model Rules of Professional Conduct. 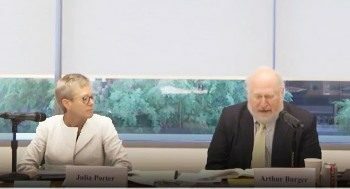 Art Burger, seen on the right, co-teaching a D.C. Bar CLE course on conflicts of interest in May of 2018 with D.C. Deputy Disciplinary Counsel, Julia Porter.